Meridian Business Sales are delighted to offer to the market this imposing detached property. The only reason this rare opportunity is being offered to the market is due to our clients desire to take well deserved retirement. Our client has run the business at a place that suits their lifestyle, meaning that there is massive scope for a new hands on owner to further develop the business. Our client informs us that the annual turnover currently runs at £20,000 which is derived from the rental of 4 apartments. There is massive potential for 9 apartments and in excess of 15 bedrooms, STPP, which may increase income. With many original features including stained glass windows, original wood doors and high coved ceilings, the premises this is without question a true character and very desirable property located in one of the uk's most popular lifestyle change areas, offering a superb location to reside combined with a healthy income all year round. This is a superb opportunity to purchase a true lifestyle business in one of the most desirable areas in the UK and as such early viewing is highly recommended to appreciate the character and charm of this property. 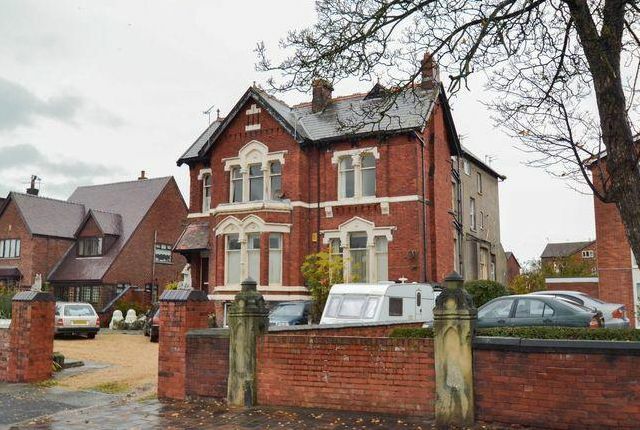 The imposing detached Victorian property, with brick and tile lay briefly comprises: Ground floor premises Large double wood doors to entrance porch with stained glass double doors to entrance hall. Staircase to first floor. 4 x reception rooms – 2 with ornate coved ceilings, 2 with feature fireplaces. Kitchen with a good range of wall and base units, built in gas hob, electric oven and extractor hood. Utility room. Family bathroom with three piece suite. Basement Apartment – entrance hall, lounge/diner, inner hall, kitchen, bathroom and 2 bedrooms. 2 large rooms currently workshops. Second Floor – 4 x apartments Apartment – entrance hall, cloaks cupboard, lounge diner, bathroom and 2 x bedrooms. Communal hall with feature stained glass windows. Apartment – entrance hall, L shaped lounge, kitchen, bathroom and bedroom. Apartment – lounge, stairs to mezzanine floor bedroom, dining kitchen and bathroom. Apartment – hallway, lounge/diner, kitchen, bedroom and bathroom external Basement workshop Large in, out drive way to the front allowing easy access and exit. Lawned area of approximately ½ acre to the rear. The business is located in the fashionable resort of Southport and occupies a prime location a short distance from the famous Lord Street with its abundance of quality restaurants, bars and exclusive shops. Other nearby attractions include the Floral Hall Complex which hosts a range of conferences shows and exhibitions, a beautiful promenade, the Marine Lake, Botanic Gardens & annual flower & air shows, or you can even explore further a field, with the local train station only 10 minutes away, or regular bus services from Lord Street. Southport is a sophisticated, cosmopolitan and vibrant coastal town fronting some of the Northwest’s most spectacular flatlands, and is famous for is sand dunes and wildlife. Southport is easily accessed by A roads and the cities of Preston and Liverpool are within easy driving distance. Property descriptions and related information displayed on this page, with the exclusion of Running Costs data, are marketing materials provided by Meridian Business Sales Ltd, and do not constitute property particulars. Please contact Meridian Business Sales Ltd for full details and further information. The Running Costs data displayed on this page are provided by PrimeLocation to give an indication of potential running costs based on various data sources. PrimeLocation does not warrant or accept any responsibility for the accuracy or completeness of the property descriptions, related information or Running Costs data provided here.